Clarinet duets can take many forms, often being either two clarinets, or two clarinets and piano. 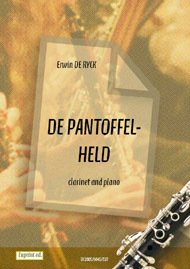 A rather neglected form of clarinet music, many duets are arrangements rather than original compositions. This is beginning to change in the 20th century, with some modern composers writing pieces for two clarinets, giving clarinet players a choice of something original for their next recital. One of the earliest composers to write a duet for clarinets is Jacques Jules Bouffil (1783-1868), a clarinetist who premiered many works as well as writing his own. Best known for his trios, Bouffil also wrote a duet for Clarinets (Op. 2). Other early composers of music for two clarinets include Heinrich Johann Georg Backofen (1768-1839), who wrote Concertante for two Clarinets in A and piano (Op. 10); and virtuosic clarinetist Finnish composer Bernhard Henrik Crusell (1775 - 1838) who wrote three duets for clarinets and a Rondo for two clarinets and piano. 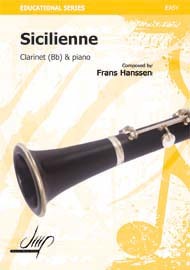 Some modern composers have also chosen to write for two clarinets. Richard Rodney Bennett is a composer who has written works for two clarinets, including Conversations for Two Clarinets and Crosstalk; and American composer Alan Hovhaness wrote his Sonata for two clarinets (Op. 297) in 1977. 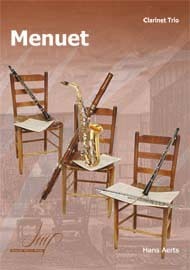 Other composers, such as Gunther Schuller and Alireza Maschayeki, have written duets for B flat and bass clarinet.